Another trip to New Mexico has been completed, and it is time to write about our adventures in the Land of Enchantment. For those who do not know, a few members of our faculty teach a field trip course in northern New Mexico. With Santa Fe as our base, we take students on daily excursions. 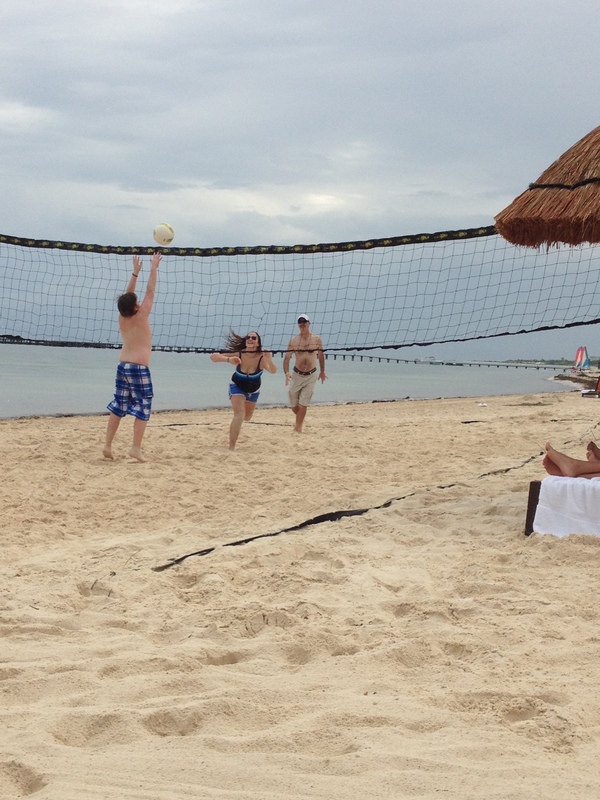 The days were packed with various activities and learning experiences, but I am not going to write about all of them. That would take a week’s worth of posts. Instead, this post will be about the thing I liked most about each day. Friday – The morning was spent in a ghost town and at a national park. However, lunch at Horseman’s Haven was the highlight of the day. I saw the restaurant on an episode of Anthony Bourdain’s show and asked that it be added to the dining list. My burrito proved this choice to be a good one. 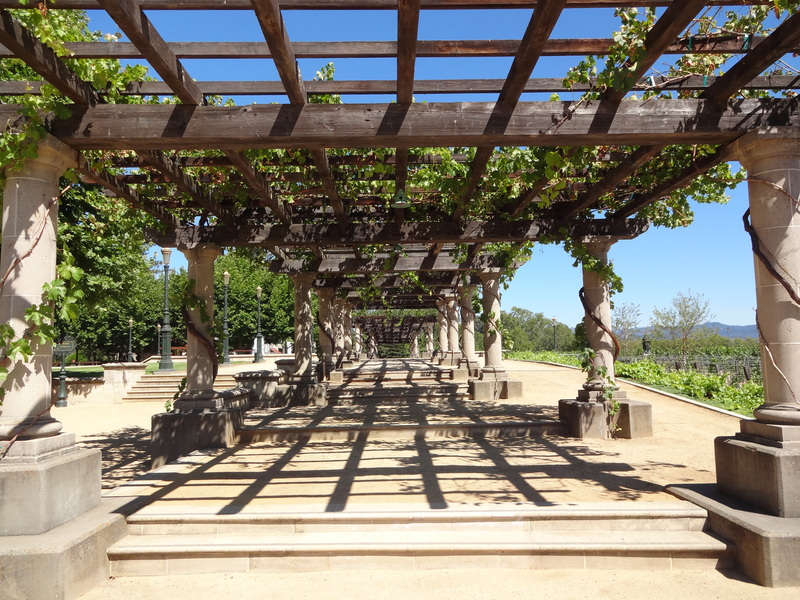 Saturday – We went to a few places that are on the itinerary every year. Then, we went to a place that was new for the trip. I have been told that Taos is a great place to visit, but the trip organizer has a bad opinion of the place. Due to months of badgering on my part, he agreed to take us there. He got more grumpy with every mile closer we got. Unfortunately, it was raining in Taos, and we did not see much. 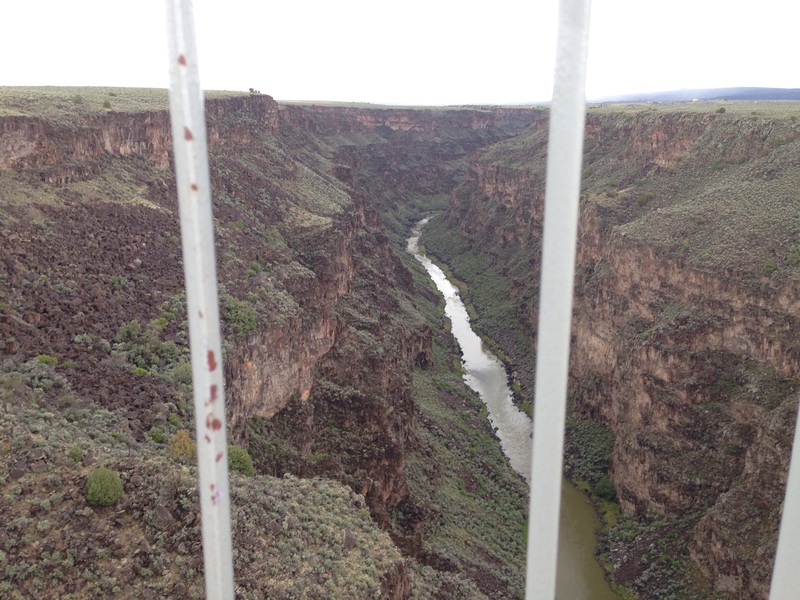 However, it was not raining when we crossed the Rio Grande Gorge Bridge, which is 565 feet above the river. It was cool to walk across it and take a peak at the bottom of the canyon. Sunday – This day brought the highlight of the trip. We had lunch at the home of Josephine, a lady who lives in the Santo Domingo Pueblo. It was a feast of Native American food prepared by her and the other women in her family. 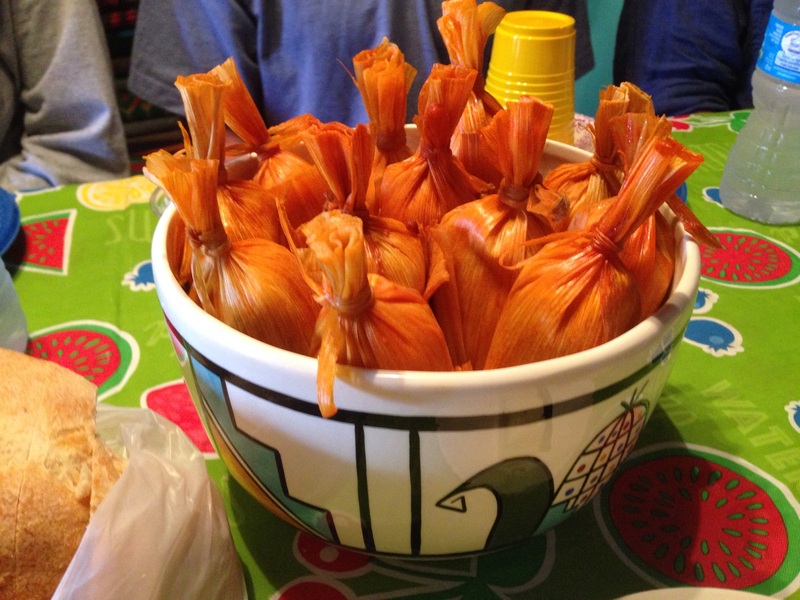 Everything was delicious, and the tamales topped it all. While we ate, Josephine talked about growing up in the pueblo and about the problems facing her people. She mourned the slow disappearance of her native language and lamented the effects of alcoholism on her community. Hopefully, the students were as touched by her hospitality and honesty as much as we teachers. Monday – As a historian, I should pick a historic site as the highlight of this day, but we visited a site that I have seen many times. 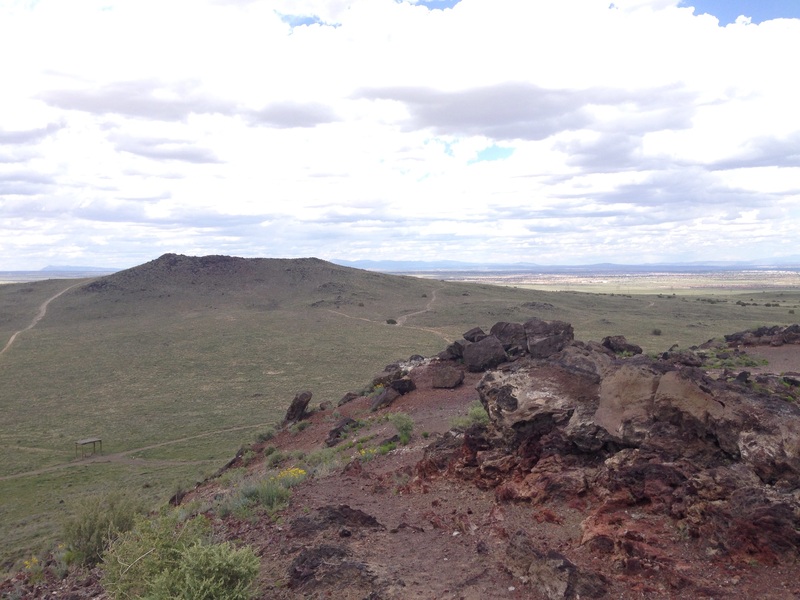 Instead, I am picking a hike up one of the volcanoes that helped create the northern New Mexico landscape. Three ancient volcanoes sit on the edge of Albuquerque and serve as sentinels over the city. I climbed one of them with a former colleague who retired and moved to Santa Fe. It was great to walk with him and rekindle our friendship. Tuesday – Have you ever been to a town that died from its evil and was reborn through love? When I first went to Madrid and asked about its history, that was the story that I heard. We jokingly call Madrid a hippie colony, but it is an old ghost town that, in the 1970s, became inhabited by people who wanted to escape the rat race and live a simpler life. I did not take any pictures of Madrid, but you have seen it if you have watched Wild Hogs. In fact, that movie became part of this year’s experience. Madrid has become a destination for motorcyclists who have seen that film. As we stood in front of the building featured in one of the pivotal scenes, I explained to a student that the building was part of the movie set. An old biker overheard and got mad because he had ridden a long way to eat in a fake diner. Unlike him, I am never disappointed in Madrid. I always wonder what it would be like to escape to an old town and live a life without worry. Of course, I would probably get tired of it after two days. 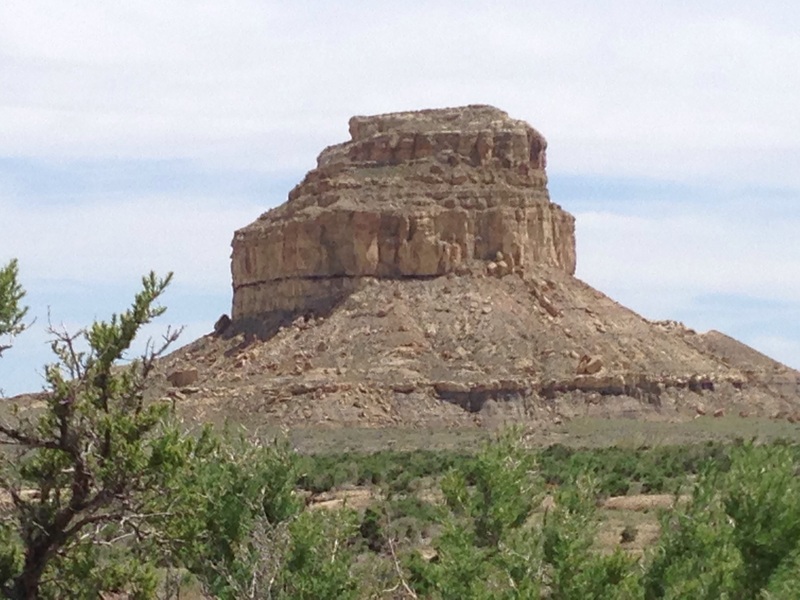 Wednesday – Chaco Canyon is an amazing place to visit. It is even worth the long journey to get there. The canyon was home to a people who disappeared, and archaeologists have been trying to figure them out ever since. The conclusions often change, and some are scoffed at with ridicule. The questions may be hard to answer, but the beauty of the canyon leaves no doubts. Thursday – This was another day of national parks and historic sites. 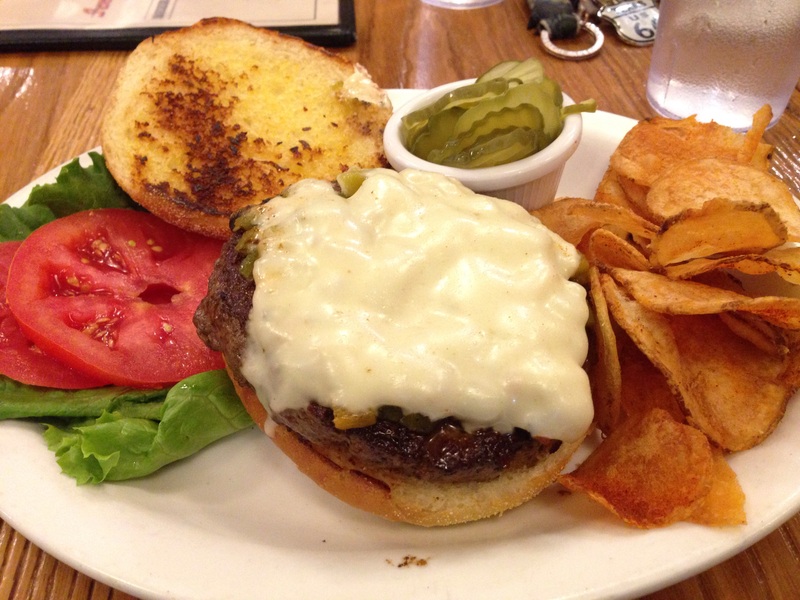 However, they did not compare to our visit to Santa Fe Bite, home of the city’s best green chile cheeseburgers. The restaurant used to be in another location and go by a different name. The important thing has not changed. Friday – Our last day in New Mexico was spent at Ghost Ranch, where dinosaur remains have been found and artists have been inspired. We hiked the high mesa trail and looked over a landscape that can be found in the paintings of Georgia O’Keeffe. 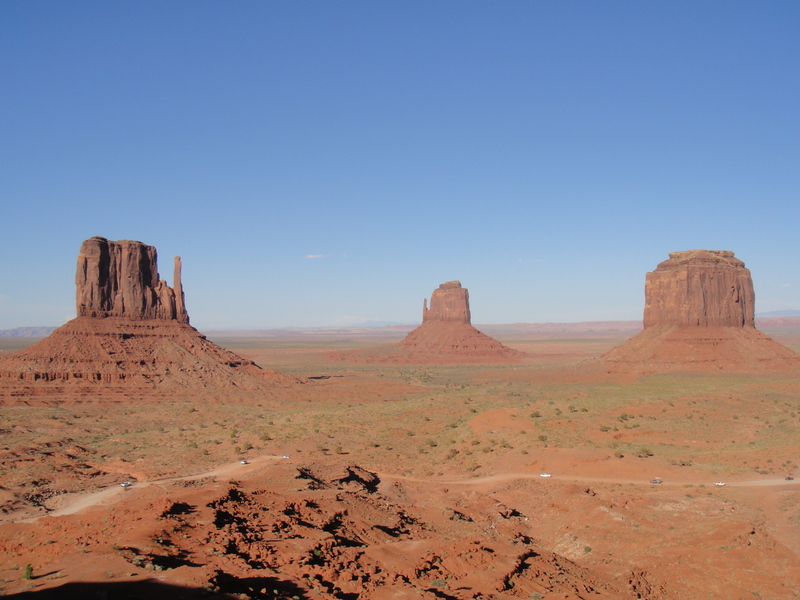 Like I did on all of our hikes, I looked over the land and listened to the theme of Centennial, the 1970s miniseries about the American West. Everyone else thought I was insane, but the music inspires me. I knew that listening to it would add something to my experience and offer something to visualize when I hear that music in the future. As always, we had a great trip filled with great experiences. These were just a few of them. I have returned from the sojourn into New Mexico with fellow faculty and a class full of students. Fun was had by all, and it would be impossible to cover everything we did in a blog post. With that in mind, I will provide a brief synopsis by describing my favorite activities from each day. Hopefully, this will provide an entertaining glimpse into our adventures. Day 1 – The beginning of a trip is always the best part of the first day. The students are anticipating the places that they have yet to see, and the teachers are anticipating the return to an interesting part of the country. 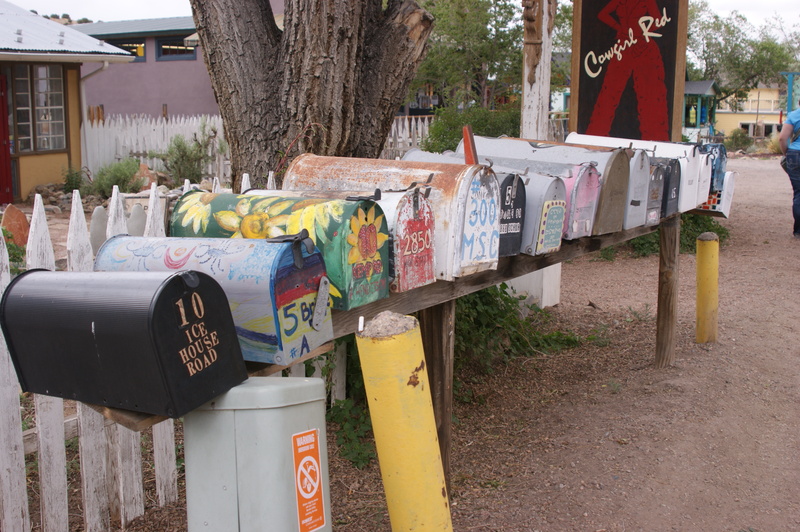 Day 2 – We can’t drive vans to New Mexico in one day, so we check out some things along the way. My favorite part of the second day is driving through Hereford, Texas, the citizen-proclaimed “Beef Capital of the World”. I don’t know if that is true, but there are definitely more cows in Hereford than there are people. Holding pens line the highway and railroad as thousands of head of cattle wait to be shipped to the plates of America. The students could only discern the smell, but I find the beef industry, both its past and present, interesting. Day 3 – We made it to Santa Fe, our ultimate destination, later this day, but we had one stop along the way where I had the chance to talk about some history where that history took place. 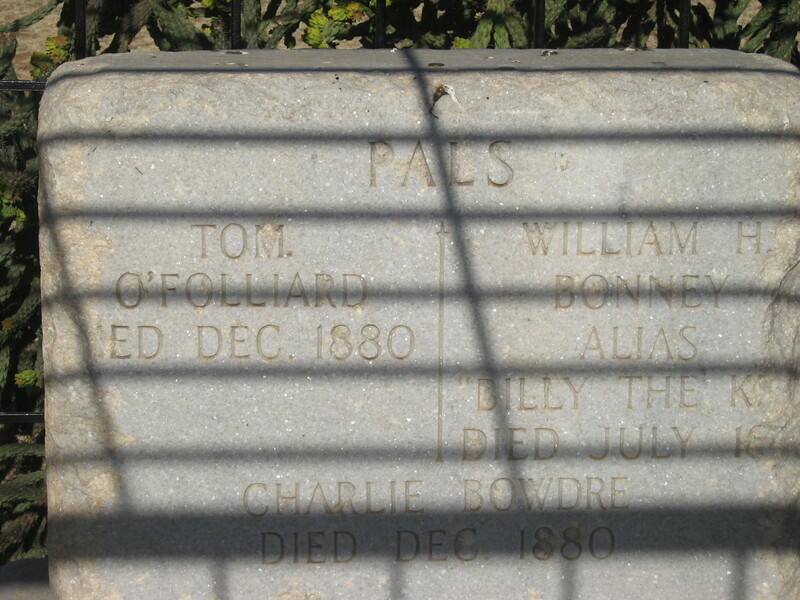 Billy the Kid is buried in Fort Sumner, New Mexico. Well, most people think he is buried there. Conspiracy folks believe he survived instead of being killed by Pat Garrett. Anyway, I was able to tell the students about Billy the Kid next to his grave. 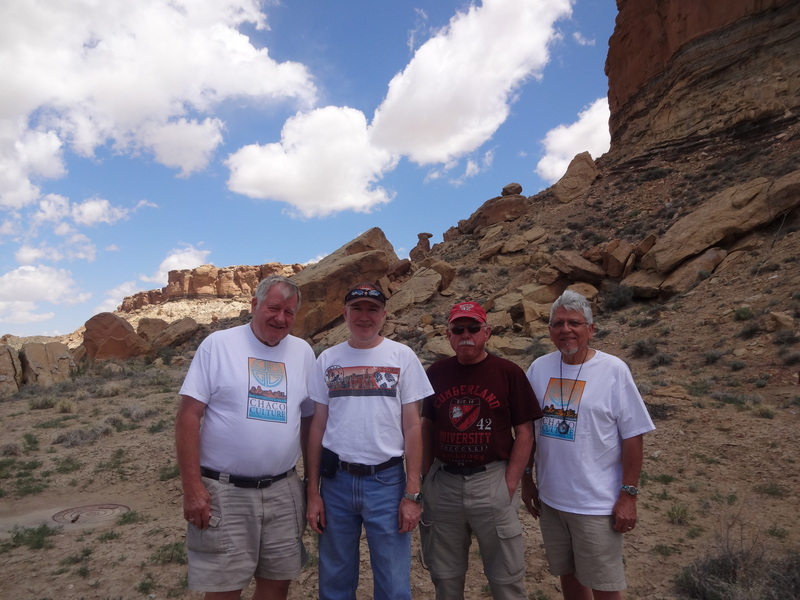 Day 4 – Our plans to hike Chaco Canyon were rained out, and our leader had to develop a day full of activities on the fly. 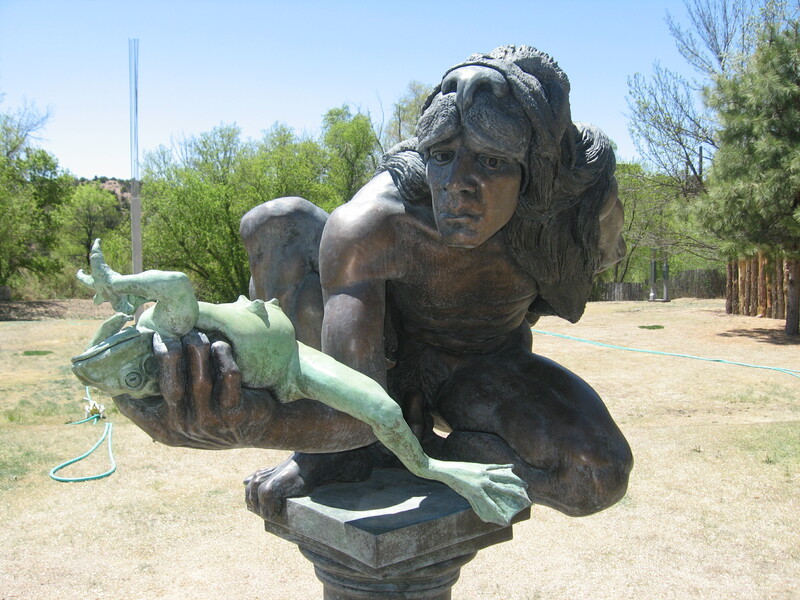 We went to the Santa Fe plaza, but my favorite part of the day was spent at the Shidoni Gallery. The building and surrounding grounds are full of metal artwork that has been forged at the on-site foundry. It is interesting to see what people consider art and the prices they are willing to pay for it. Day 5 – On this day, we went to a few places that we had never taken students before. The Very Large Array, or VLA, was the best. This is a series of giant satellite dishes used to study the far reaches of space. I don’t have a good picture of these, but if you have seen Contact with Jodie Foster, then you have seen the VLA. Day 6 – We visited my favorite place on the entire trip, the Acoma Pueblo. 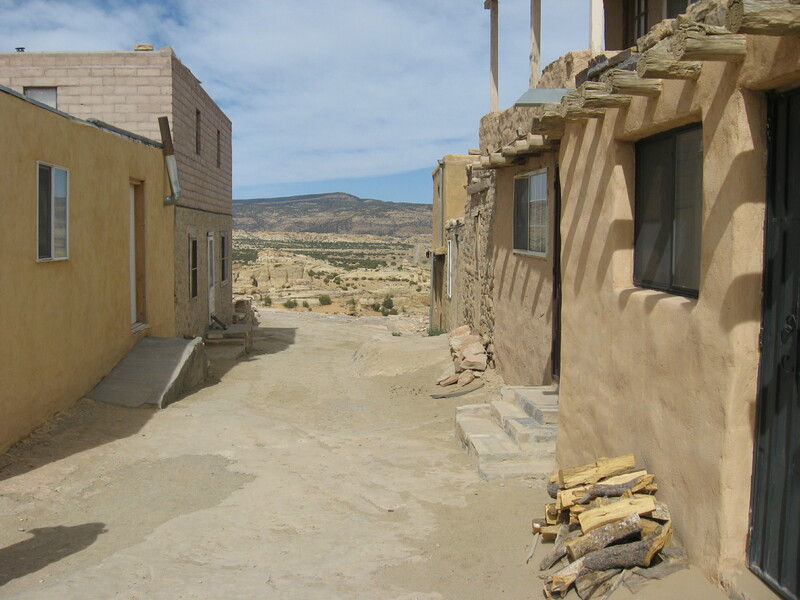 The oldest continually inhabited place in the United States, Acoma is located on top of a mesa and has a history of survival from the elements and European invaders. Native American docents take groups on a tour through their pueblo and their culture. Along the way, tourists can buy pottery from local artisans. One of our teachers, who shall remain nameless, buys pottery from the same lady every time we go. He also gets a hug. 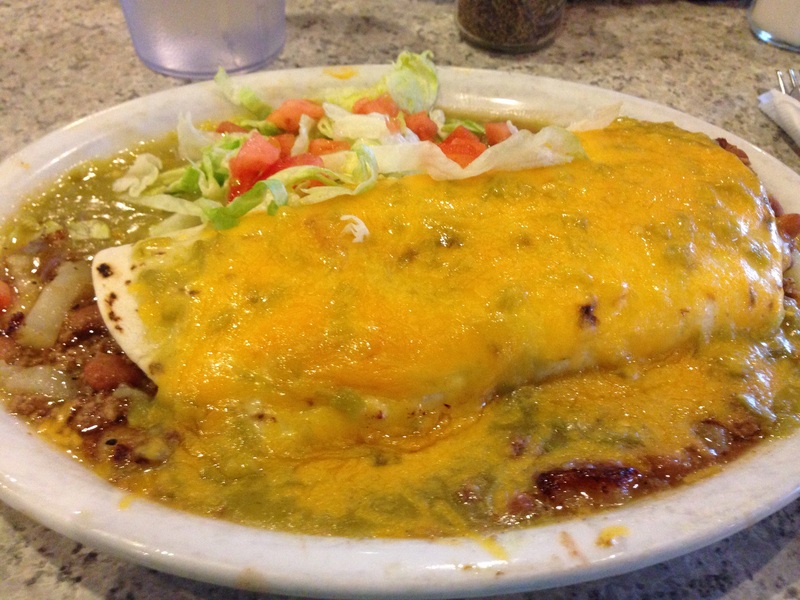 Day 7 – We always eat well in New Mexico, and this trip was no different. The New Mexican cuisine is wonderful, especially the sopapillas that are always served for dessert. On the seventh day, we ate at Rancho de Chimayo, one of the great restaurants of the area, but dining was not the only enjoyment. There is a pottery shop inside, and two of the faculty members on the trip are addicted to buying Pueblo pottery. It so happens that the shop had a pot that they were lusting after. As they bickered back and forth about which one was going to purchase the $1,400 piece of pottery, the third teacher, not me, stepped in and said he would buy it. They both stood there with their mouths hanging open. Day 8 – This was an easy day with little driving and little expended energy. Believe me when I say that everyone was ready for it. We were also ready to visit Madrid, New Mexico, an old ghost town that was resettled by flower children in the early 1970s. It is like going back in time to a place where peace, love and other things were still possible. The guys found a blonde in the ice cream parlor/art gallery that they wanted to find peace with. I found the first person to move to Madrid in 1973 and had a discussion about his life. Mel Johnson was a dean at the Art Institute of Chicago and gave that up for a life in Madrid. In the following years, other people followed him until the town was filled with artisans and free-thinkers. Before I left his studio, I had found an interesting story and bought a painting. 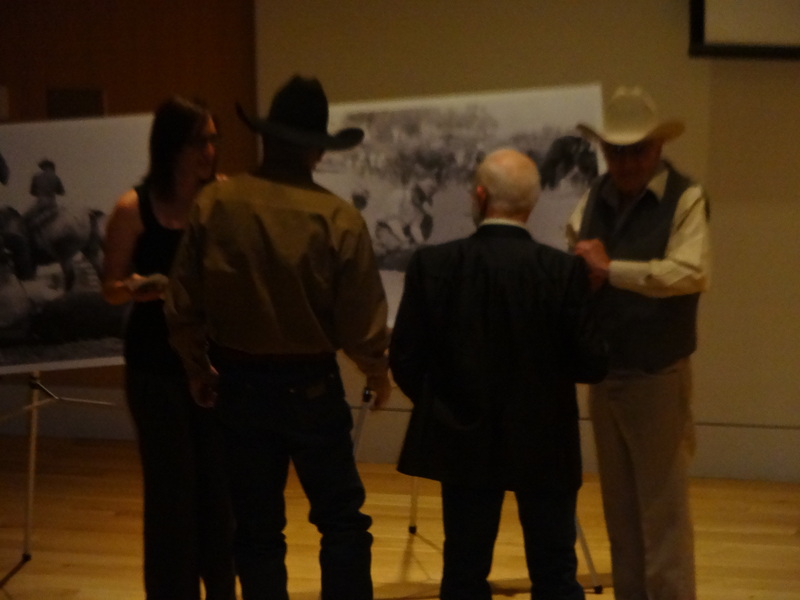 Day 9 – Once again, I was able to talk about history where it actually took place. 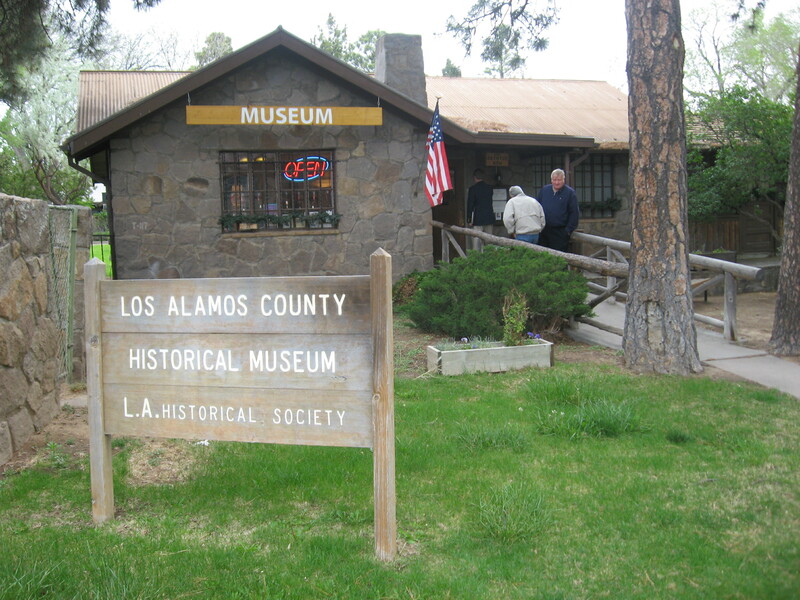 We visited Los Alamos and a museum that is housed in the only remaining building from the days of the Manhattan Project. I find World War II history interesting and have a special interest in the building of the atomic bomb. One reason is that Oak Ridge, Tennessee was one of the secret locations. Another reason is that my mom’s uncle worked in the Manhattan Project and told a lot of stories about it. People have different opinions about the use of the bomb on Japan, and it is great to discuss the different views of the students. In the end, we agreed that hindsight is 20/20, and we can’t place that hindsight on people who were making decisions in the moment. 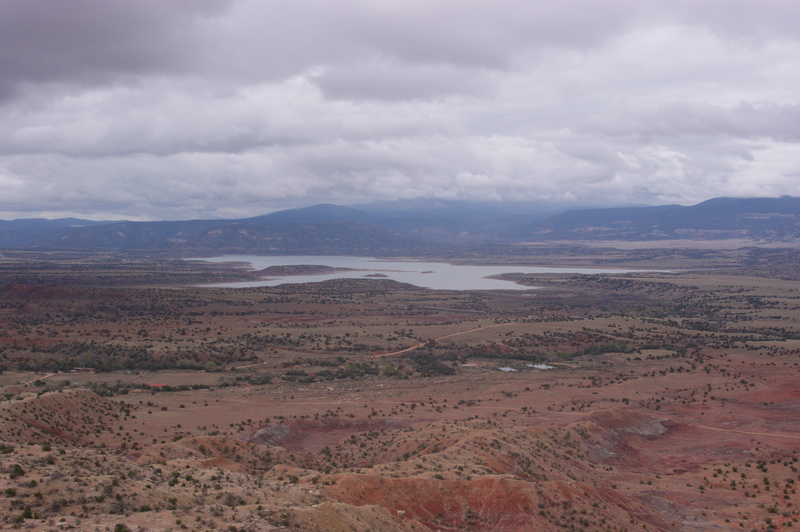 Day 10 – This was our last full day in New Mexico and was really a time to wind down. 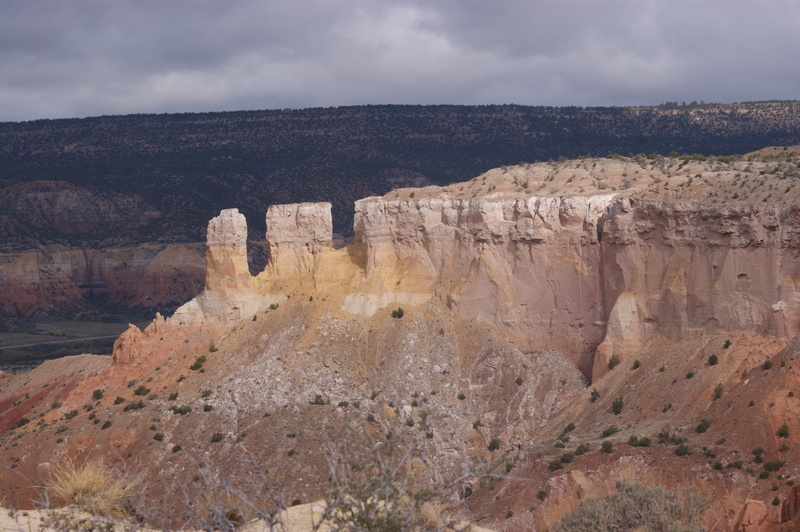 We hiked the mesa at Ghost Ranch and spent some time back on the plaza in Santa Fe. 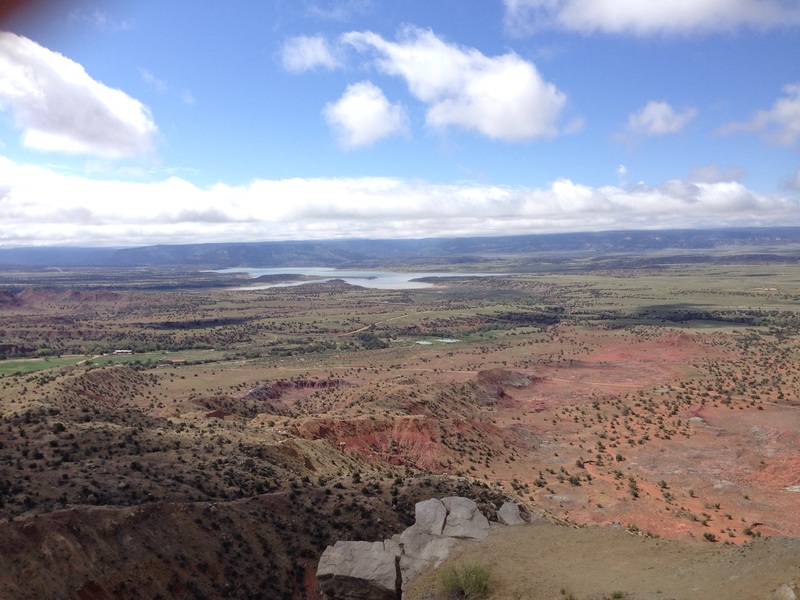 On top of the mesa, the students and I spent a spiritual moment reading a Native American poem, an ode to the land of New Mexico. I think we all felt a twinge of sadness because we were soon leaving and a sense of happiness because we had a great time throughout the trip. Day 11 – We left Santa Fe at 5 am and drove over 700 miles to our original hotel in Sallisaw, Oklahoma. After a meal at Western Sizzlin’, the professors pulled chairs from our rooms into the Super 8 parking lot and discussed the trip. We deemed it a success. 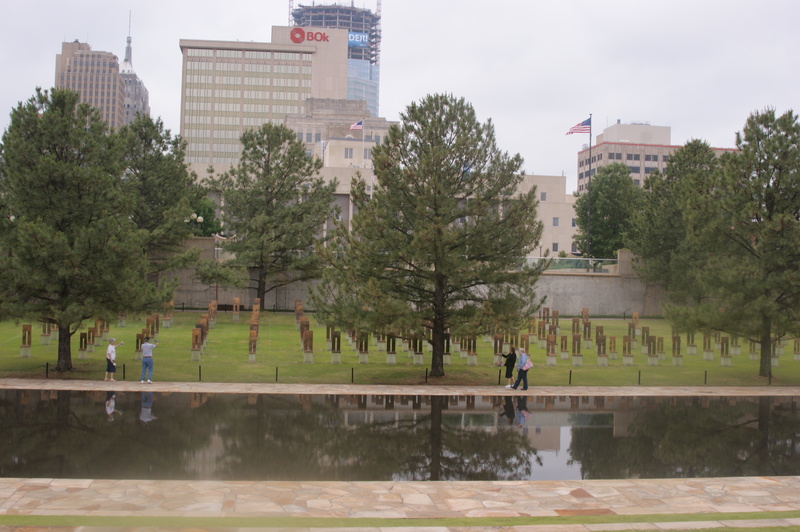 Day 12 – We left Sallisaw at 5 am and headed home to Tennessee. It seemed that we got faster the closer we got to home. Like most trips, we were glad that we went but also were glad to get home.